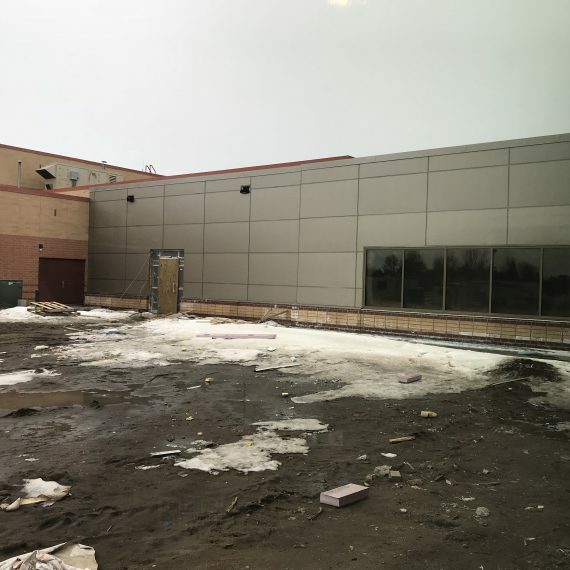 High School Building Project Updates! 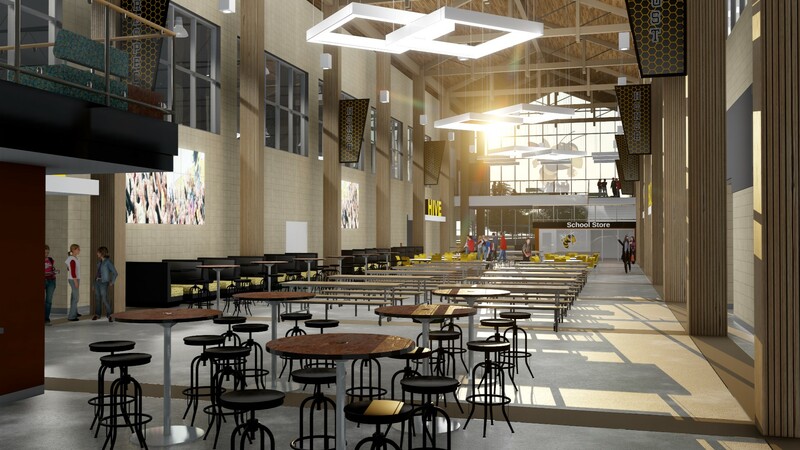 The new Perham High School being planned to be located in Perham, MN will include a gymnasium with locker rooms, full service kitchen, commons spaces, classrooms, fine arts area, administration offices, wrestling & weights area, media center, an adjacent satellite building for the STEM trades and is being planned for potential future additions of a theater & an academic addition. The greenhouse from the current high school site is planned to be relocated to the new site. Here are the individuals and businesses that are part of the building and design team for the new high school. Bid awarded to Olaf Anderson out of Fargo, ND. 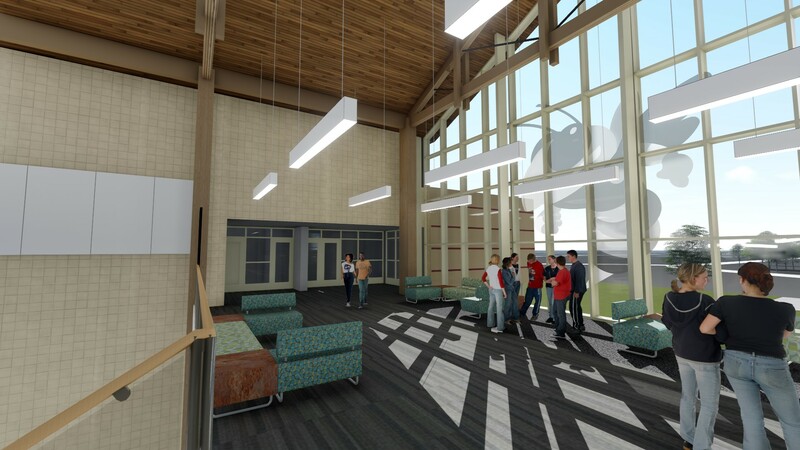 The new High School will be designed for collaborative, interdisciplinary delivery of curriculum, a Professional Learning Community (PLC) model. Collaborative departments will be located in close proximity. 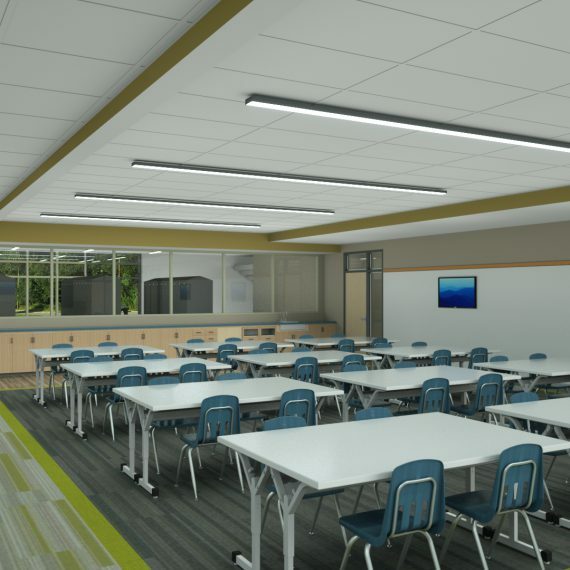 Two PLC’s for core curriculum will include classrooms, labs, and support instructional space for students and faculty (faculty planning, small group instruction, large group instruction). The Humanities Division includes Language Arts, Social Sciences, and World Languages. The STEM Division includes Math, Science, and Engineering. 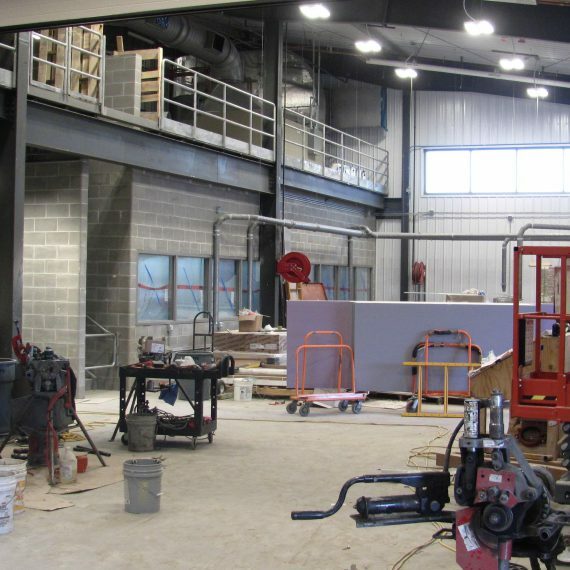 Provide an Engineering/Fabrication lab in the STEM Division. Existing shops will relocate to the new facility. The District will investigate opportunities for teaming with private corporations. Family & Consumer Science will be initially traditional residential cooking, but will be transformational to accommodate a potential shift to Culinary Arts in the future. 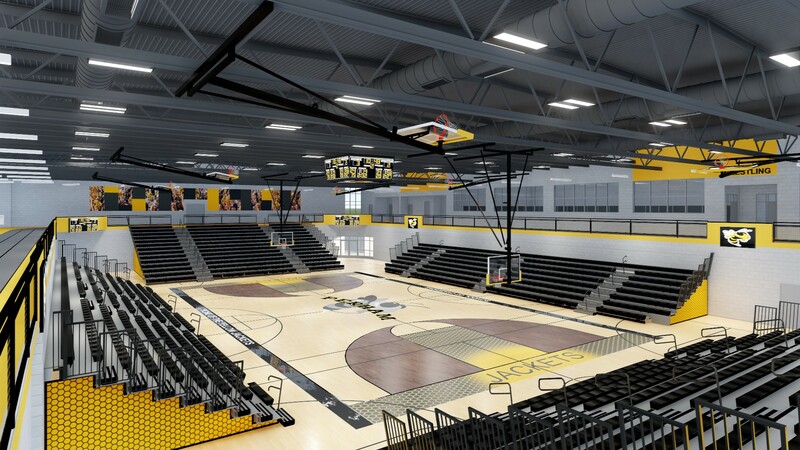 The new gymnasium will be designed for three competition courts. 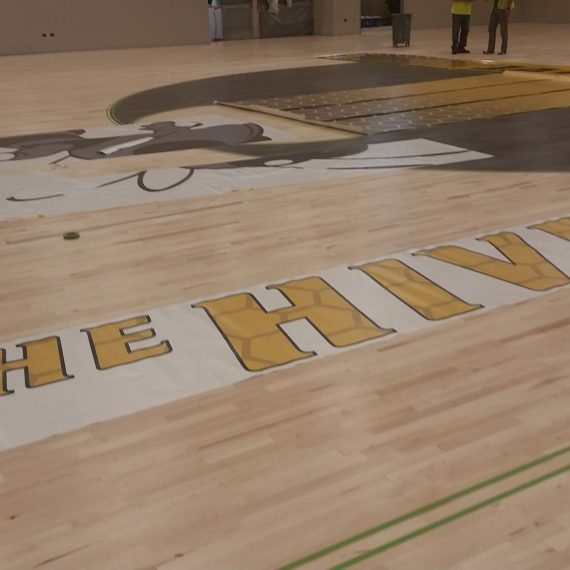 It will be located on the site to accommodate primary athletic events. 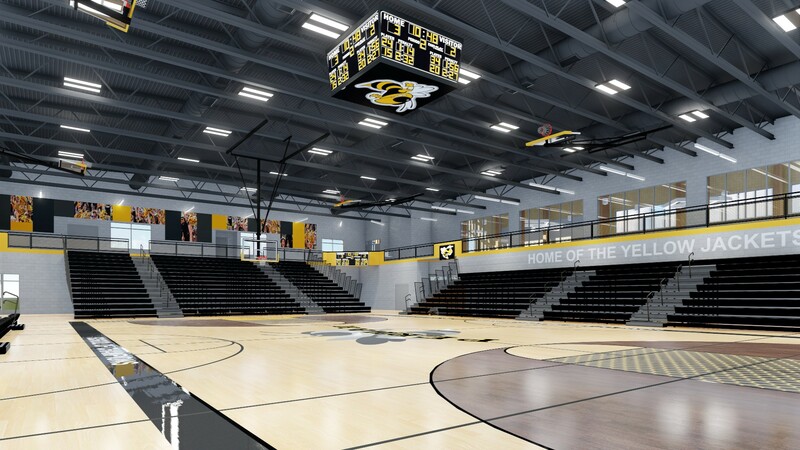 The existing PWMS gymnasium will be used primarily for the middle school, high school practice, and events requiring all available courts. Because the theater portion of the referendum was not passed by the community, a performance space should be considered. This should not be included if to the detriment of a future theater. 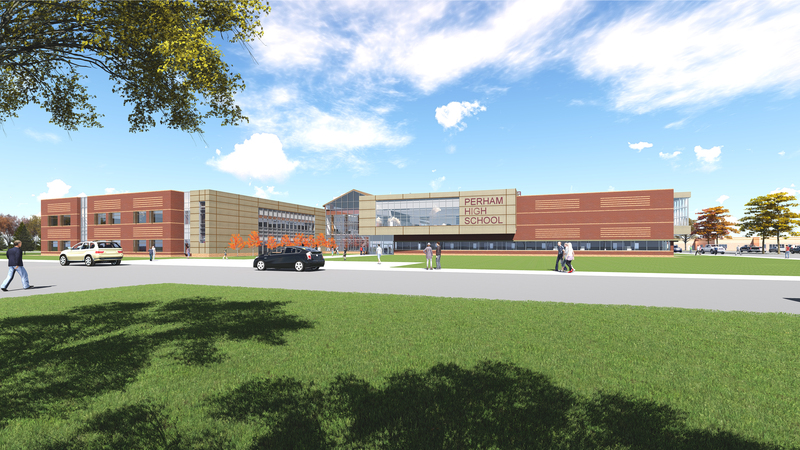 The new High School will provide a direct link to PWMS. 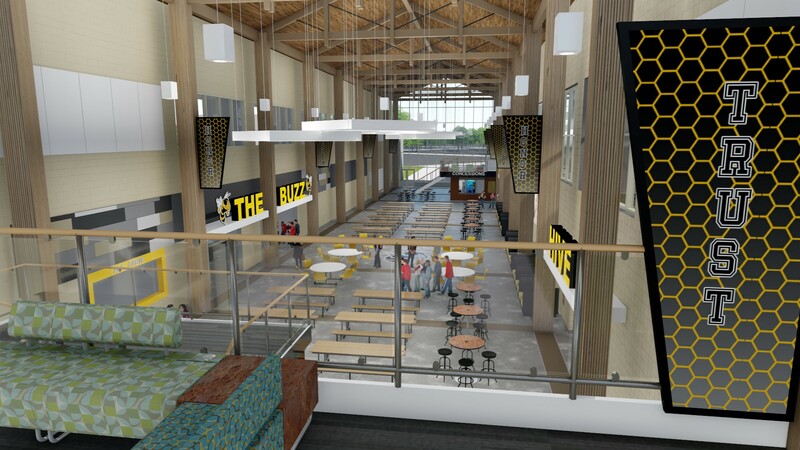 The link will be designed for convenience of staff and students, not for the use of large numbers of public spectators. PE and athletic locker rooms. The new gymnasium, designed for three PE teaching stations. 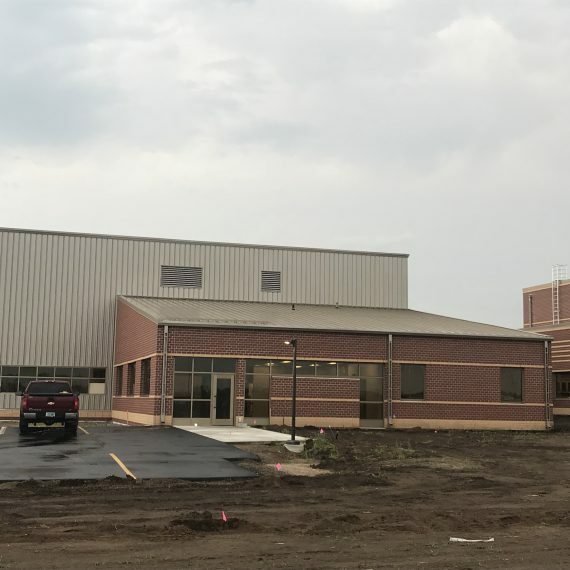 When will the new high school open? For school start of 2018. 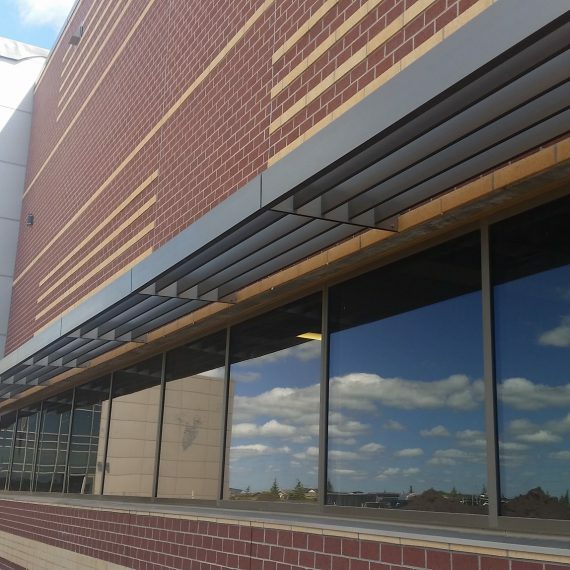 Does the school district have enough money to operate a new building or will it have to go back to taxpayers and ask for more money in the future? The operation costs of the new school will not change greatly for the District. The new school will be larger, but also more efficient so the anticipated impact is negligible or possibly even less costly to operate on a utility basis. 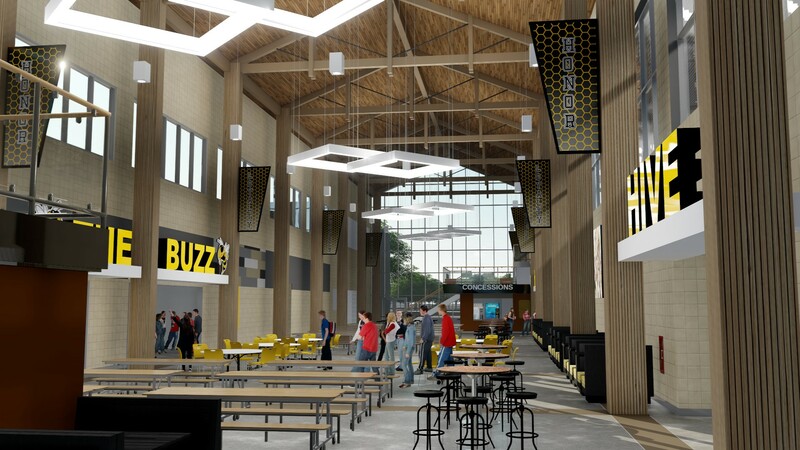 Will the new high school be big enough to accommodate growth? 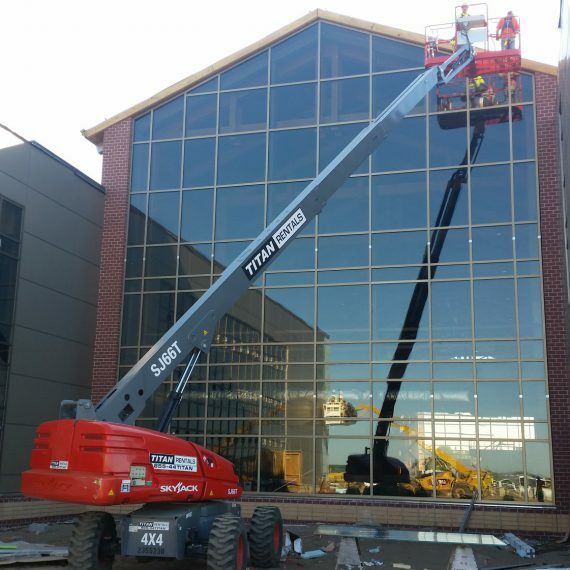 The new High School is designed with growth in mind. 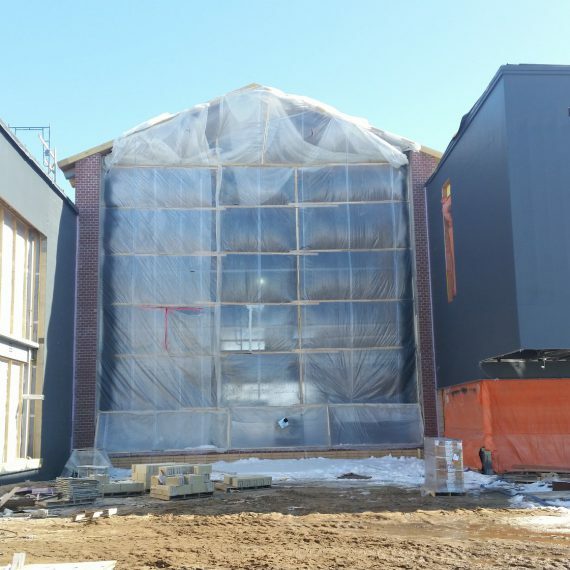 The core functions of the building are built to accommodate and approximate increase of an additional 100 students and the classroom wing is designed to be able to have additions built easily when they are required. Does the bond package include building a football/track stadium? The current athletic and activity amenities including the football field, track, tennis courts, etc. will remain in their current locations. 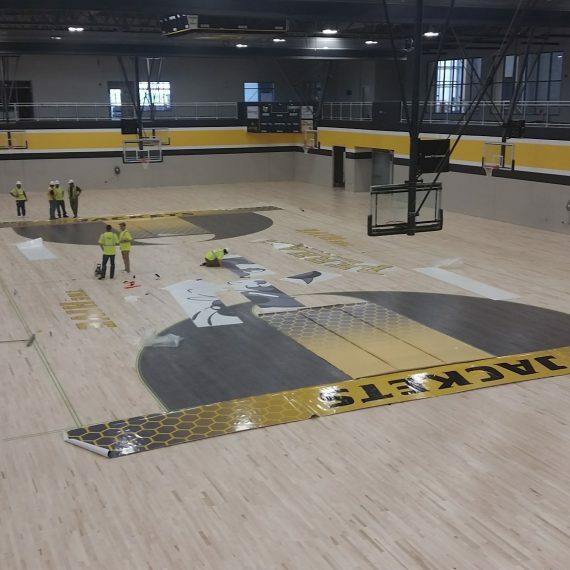 New physical education and athletic areas in the form of new gymnasium space, weights and fitness space, and associated locker rooms, etc. are included in the new building. There are lots of positives with a new high school. Are there concrete numbers about what a new high school means for economic development? 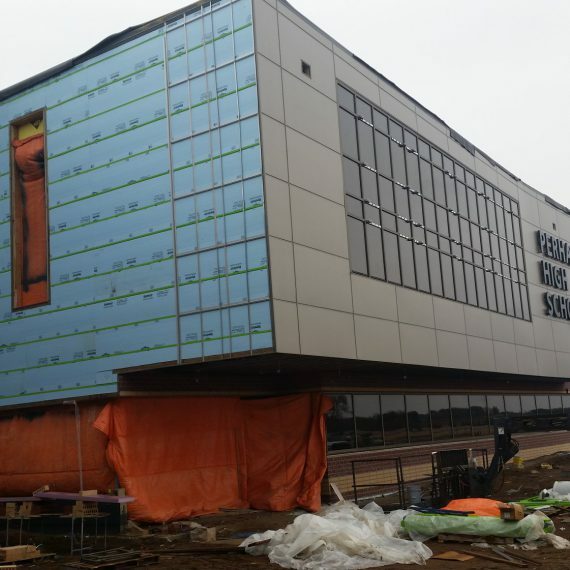 There is no concrete way to calculate the economic impact of the new High School. We are optimistic the building will attract and retain families within our district which we hope delivers positive impact on the economic development of the city. 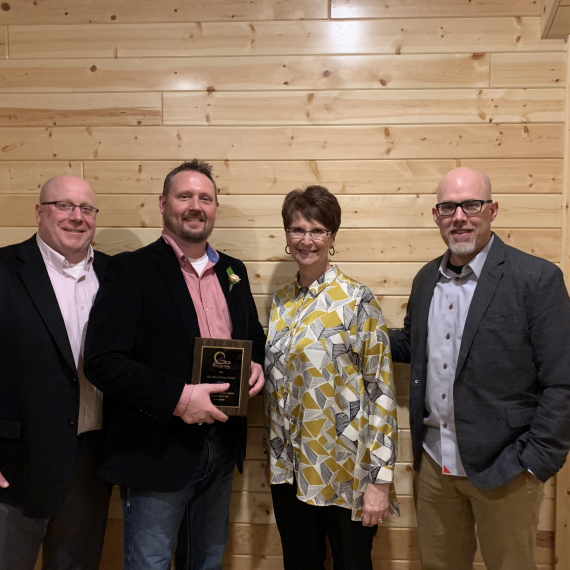 Who conducted the facilities assessment of Perham-Dent Public Schools that led to the School Board’s decision to hold a bond referendum to reconfigure existing buildings and construct a new high school? 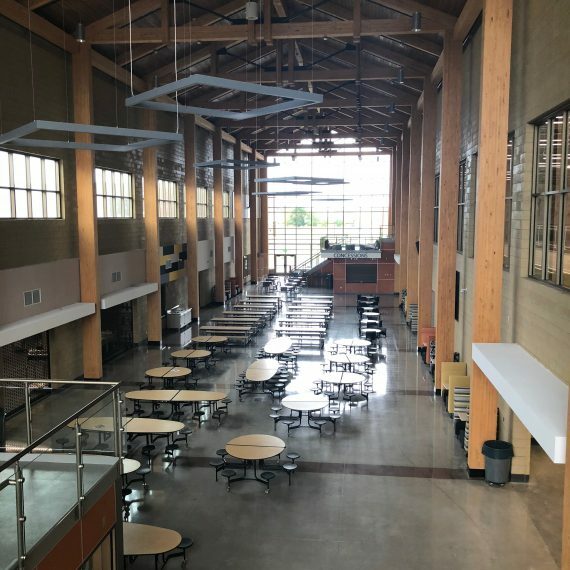 In conjunction with the Community Task Force, a firm that specializes in the assessment of Minnesota K12 Education facilities provided data for the Task Force to evaluate and ultimately determine the it was not in the best interest of the District to continue to use, or update the current High School. 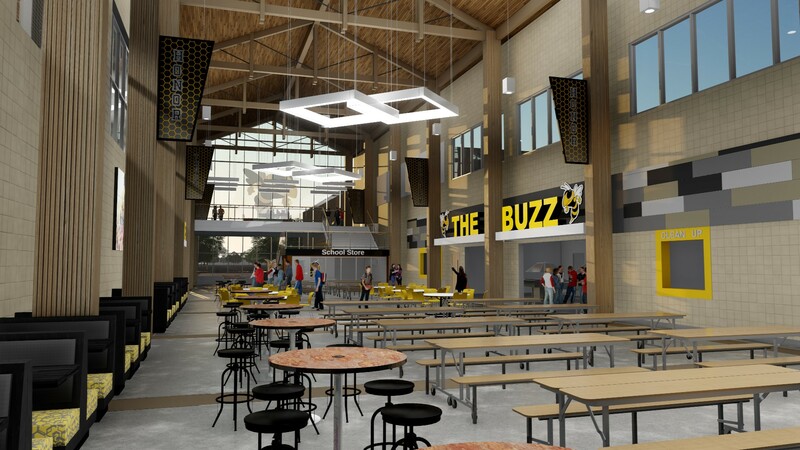 Who are the architects involved in new high school and facilities project? A local firm, BHH Partners, are the lead architects for all projects within the referendum.